A week earlier, Chloe Cunliffe was shaky in the air at The Texas Relays. But what a difference a week makes. 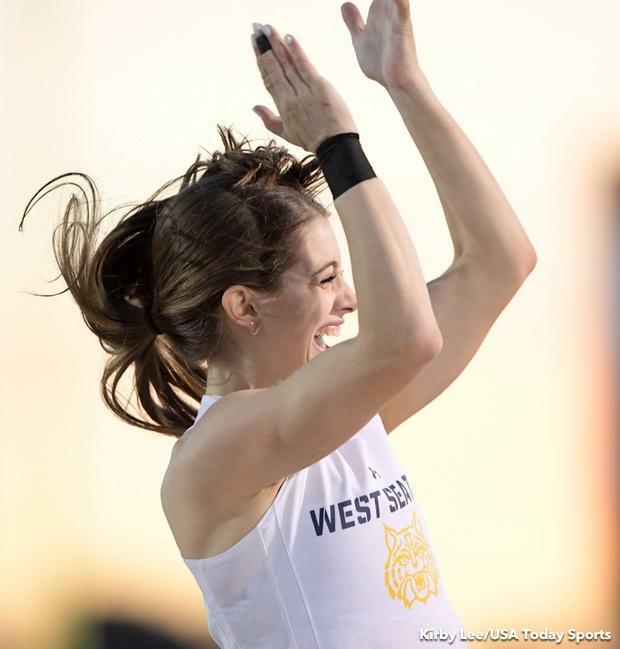 The West Seattle (WA) senior athlete shook off an up-and-down outing in Austin, Texas, on March 31 and came back motivated on Saturday at the Arcadia Invitational in California, netting a new national record in the girls pole vault by clearing 14 feet, 8 inches on her first attempt. It's her second national record in ensuing seasons. The Washington State University signee surpassed Lexi Weeks, who netted the previous national record of 14-7.5 in 2015. Cunliffe holds an eight-inch lead on the next best girls pole vaulter nationally. Cunliffe's series wasn't perfect, but it got the job done. The senior cleared 13-1 on her first attempt, then netted makes on her second attempts at 13-5 and 13-9 before needing a last gasp clearance at 14-3 to stay alive. By that point, she was all alone. And maybe that momentum shifted over, as she cleared 14-8 on her very next attempt. A week earlier, Cunliffe arrived in Austin, Texas, in the girls elite section of the pole vault. But the pre-event favorite struggled, finishing third overall after failing to clear 14-feet. So consistency continues to be a process for the elite pole vaulter, who cleared 14-9 indoors at an All-Comers meet in Tacoma, Washington, in late March. Saturday's evening was certainly possible for Cunliffe, though she made it look easy.